Whenever I go on Amazon I'm always amazed at just how much time I can lose by clicking through the never ending threads of recommendations and books that people also bought if they bought the book that you're looking at. Don't get me wrong, these are happy minutes (or hours), but it can still be difficult to pin point the best books to buy, no matter what subject you are searching for. Some of the most interesting books that I own, or have seen or been told about, come from the genre of photography books. No matter what you're interested in, there's always a great photography booked that can be linked up to it. There are also some truly astounding art photographers out there that produce, or have produced, great work that I'm sure even a hardback monograph can't do justice too. Below I have complied a list of photography books, both of the variety that provide practical advice about photography, but also books that display the work of some of the great photographers and photography organisations from around the world. This book comes highly rated to anyone who is interested in journalistic photography. 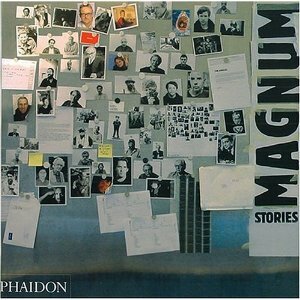 The book takes a look at how photographs can be used to tell stories through a series of 60 classes by some of the greatest photographers of all time, who also, coincidentally were involved with Magnum. Each class brings together tales of the individual approaches that photographers have applied to the field of journalism. Amongst the photographers that feature in the book are Henri Cartier-Bresson, Robert Capa, Martin Parr, Inge Morath, Eugene Richards and Leonard Freed. Light lines is a book that presents a more experimental approach to photography and really takes a deep look at the art of producing black and white photographs. 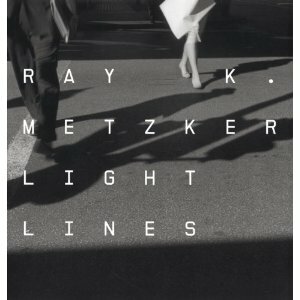 Metzker is a highly celebrated American photographer who is not afraid to challenge the boundaries of photography and take those challenges to the viewer. This book offers a full retrospective presentation of Metzkers work, using 200 high quality reproductions to cover the various aspects of what has been an extremely prolific career. Robert Frank's The Americans is one of the most iconic photography books that you can buy. In 1955, Frank received a Guggenheim Fellowship to travel around the United States of America. He used that time to create a documentary record of American culture, producing what has become a universally credited book about the state of the US in the 1950's. A great book for anyone interested in American culture or documentary photographic practices. 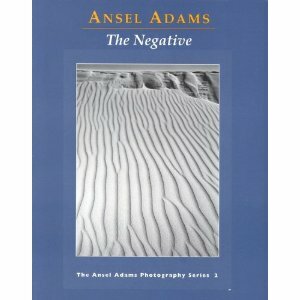 Ansel Adams is often recognised as one of the great photographers, but this book is no catalogue of his works. This is an innovative book about the processes that Adams went through when developing his photographs. While not very useful for digital photographers, this is a solid book for the collection of any photographers who still hold true to the darkroom. The book takes a look at the factors of light, film type and exposures along with a detailed discussion on the Zone System. There is even an extensive chapter on the darkroom and its equipment for anyone who is just getting started. 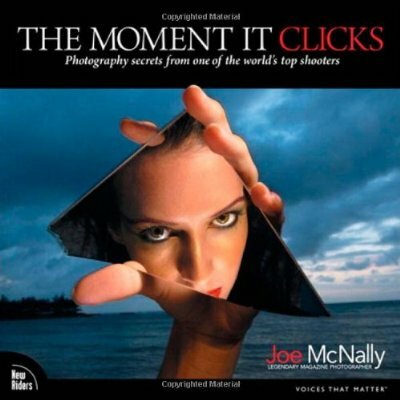 The Moment it Clicks is a book for any budding digital photographers out there. Author Joe McNally is one of the worlds top digital photographers who has worked for some of the biggest magazines in the world. With everything from National Geographic to Sports Illustrated on his resume he is well positioned to write this book which has all of the elegance and presence of a coffee-table book, while also taking a teacher-like position over the more practical aspects of being a digital photographer. 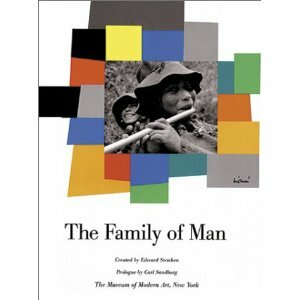 The Family of Man was an exhibition held at the Museum of Modern Art in New York in 1955; an exhibition that was put together by Edward Steichens. The exhibition can easily hailed as one of the most successful photography exhibitions of the latter part of the 20th century, The Family of Man charted images of humankind from all around the world. Aimed to show how similar we all are by covering universal themes such as love and marriage, child-birth and death. The book can be ranked amongst the classics of the photography genre. 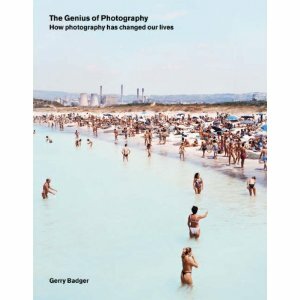 Written by Gerry Badger, The Genius of Photography is a book that charts the key events and key images that bring home the magnificence of the development of photography. Primarily a narrative history of photography, the book delves into the social, economic, political, technical and artistic aspects of the development of photography, asking questions about what makes one photograph a work of art while another isn't and looking at what makes an image by Nan Goldin or Henri Cartier-Bresson special. The book charts the contributions of some of the most distinguished photographers to date making this an essential book for anyone with an interest in photography. 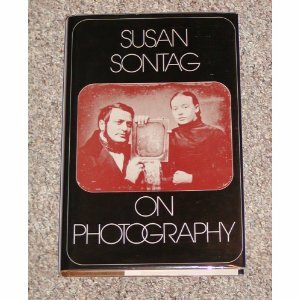 Written by one of Americas most respected writers, Susan Sontag, and first published in 1973, this book takes a solidly academic approach to discovering the true force of photographic imagery with a strong focus on discussions of experience and reality. Whether you deal in darkroom photography or digital photography, the six essays that make up this book are worth the read. We deal with images every day of our lives without really thinking about what we're looking at, or what we're really seeing. This book helps us to grab on and take a little more notice. 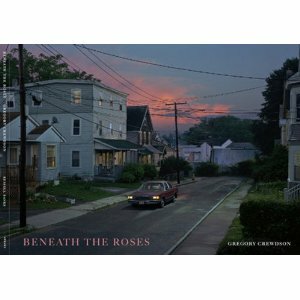 A personal favourite, Beneath the Roses is a book containing the complete series of Gregory Crewdsons photographs made between 2003 and 2007. Crewdson is an extremely successful international photographer who also teaches at the Yale University School of Art. His photographs are particularly unique in their set up and the fact that he photographs anything but the 'moment'. His scenes are elaborately choreographed and built like a film set. Lighting, composition and developing the frame within which he will capture a scene are all part of the lengthy process that Crewdson goes through. This particular book also includes lighting charts, production photographs, sketches and architectural plans to help the viewer understand what it took for these photographs to come into being. A coffee-table volume for sure. Nan Goldin is one of those photographers who managed to stir up a great deal of controversy around her work but battling with taboo subjects, while making very personal documents about her life and the life of those around here. This book charts a particular series of image by Goldin that take a look at the struggle for intimacy, understanding and relationship pressures of friends and lovers of Goldin. A review of the book in the New York Times, by Andy Grundberg, said. "Goldin, at the age of 33, has created an artistic masterwork that tells us not only about the attitudes of her generation, but also about the times in which we live." If that isn't enough to get you started on a truly amazing photography book collection, I don't know what is! If you do know, please drop us your recommendations in the comments below.